✨ DEAR FANS, get ready for a TOTAL MIND-BLOWER from your favorite developers! 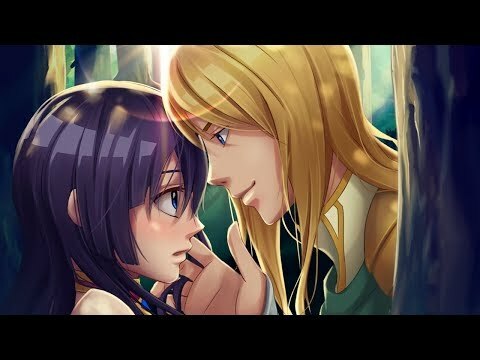 A brand new interactive “love story” game combining elements of virtual reality and RPG with beautiful manga characters and illustrations is finally out! Immerse yourself in the most thrilling gaming experience ever while you shape your destiny and make life-determining choices on your way to true love! Anime Love Story Games: ✨Shadowtime✨ is aiming to capture the hearts of our deareast game fans and keep them hooked and desperate for new releases. Don't lose any of your precious time – download Shadowtime right away and start living the love story you've always dreamed of! ✨Only in “Anime Love Story Games”: ✨Shadowtime✨ - one of the best dating sim games for girls on the market! It's time to dive into the most immersive anime love story ever! ✨Download this fantastic teenage love story and enjoy the superb anime style illustrations that go along with the romance novel you create. Veiled in suspense, this game presents you with original characters and creative plot that combines two different worlds. Anime Love Story Games: ✨Shadowtime✨ offers you a chance to play a game within a game combining elements of RPG and VR. Above all, it is also one of the most carefully written interactive story games offering you new stories and chapters on a regular basis. "Choose your storyline" and don't miss the chance to try the best otome games English free. These virtual love story games can be yours in a few seconds! Write your own manga romance! ✨Curious to become a heroine whose life changes at the same time when the most popular video game is released? Torn between your old school friend and a new popular guy, you're about to encounter various difficulties that this secret romance game carries along the way. However, you should know one thing: there's no mistake with our “avatar games” with virtual worlds and “English otome games”! If you love to play “manga love games” that you can date in or "interactive story games", we have a perfect app to keep you entertained for hours. Hurry up to find out your ideal love in Anime Love Story Games: ✨Shadowtime✨ FREE! We guarantee that both girls and boys will be thrilled about our new "simulation games"! MORE CHAPTERS ---> CHAPTER 19 AVAILABLE !!! MORE CHAPTERS ---> CHAPTER 18 AVAILABLE !!! MORE CHAPTERS ---> CHAPTER 17 AVAILABLE !! !